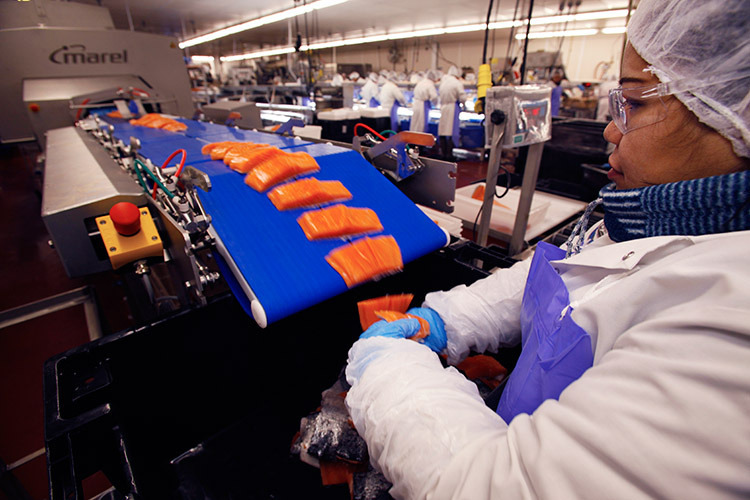 In our New Bedford plant, high speed equipment lifts, cleans and conveys fish from station to station. 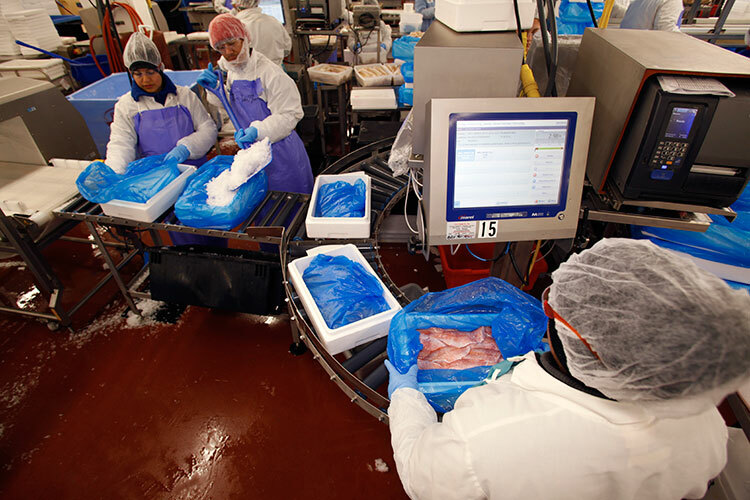 At the same time, experienced fish cutters, many with decades in the business, inspect, filet and trim just as it’s been done for generations. Call it a combination of handcrafted quality and modern engineering. The end result is an operation capable of providing exceptional quality to customers of all sizes, and a leadership position for Pier Fish Co.
SQF-Certified: Safe seafood is our priority. Pier Fish has invested in the most advanced systems and technology to ensure the safe handling of seafood through all phases of production. 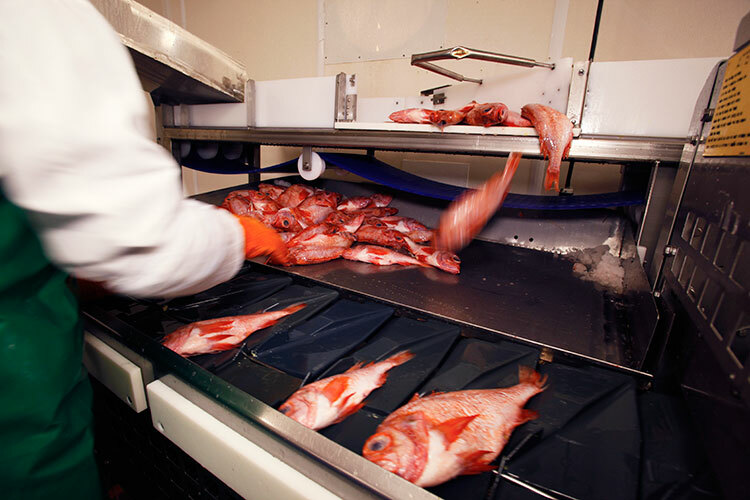 The plant is completely temperature controlled to maintain an optimal environment for seafood. 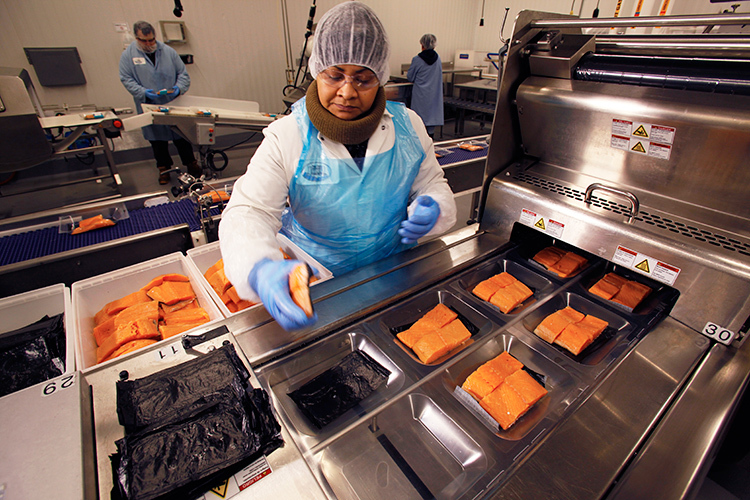 Our on-site quality assurance lab inspects and tests product daily to ensure the highest level of food safety. As an SQF certified facility, we meet rigorous, global standards for high quality food production. Custom processing is standard practice here. After 100 years in the industry there is lot of institutional knowledge at Pier Fish. There’s not much we haven’t seen, and even less we can’t figure out. We understand that every customer has unique requirements, which requires us to think differently at times. We are most definitely not a “one size fits all” operation. With a smart, flexible approach that welcomes customization, we can adapt our process to meet your needs for special labeling, different pack sizes and just about anything else you might need.